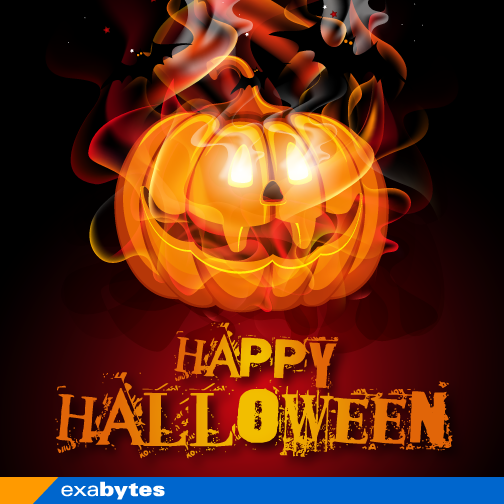 Home All About Exabytes Are You Ready to Scare & Be Scared This Halloween? Haunted houses, scary pumpkins, eerie ghost stories, crazy costumes, plastic skeletons, ARE YOU READY FOR HALLOWEEN?! It’s another great Halloween season, the official time for you to have some real fun scaring people and be scared! (BONUS: no one will get angry after you scare them) The worry of tooth decay is obviously pointless for children as many will indulge in the craziest candy feast and the fun of Trick-or-Treating! If you some time to spare, why not post some photos of yours on Halloween on our Facebook wall? Exabees would be glad to see how scary or how scared you are! Next articleGRAB T-Shirts of the Month!